Audie Award, Autobiography/Memoir, 2016. 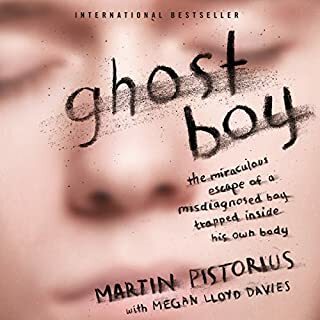 In January 1988 Martin Pistorius, aged 12, fell inexplicably sick. First he lost his voice and stopped eating. Then he slept constantly and shunned human contact. Doctors were mystified. Within 18 months he was mute and wheelchair bound. Martin's parents were told an unknown degenerative disease left him with the mind of a baby and fewer than two years to live. 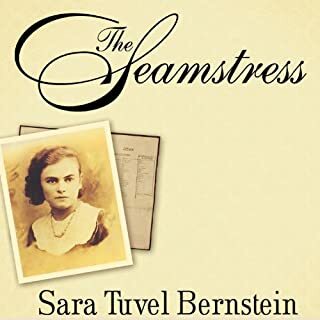 Told with the same old-fashioned narrative power as the novels of Herman Wouk, The Seamstress is the true story of Seren (Sara) Tuvel Bernstein and her survival during wartime. This powerful eyewitness account of survival, told with power and grace, will stay with listeners for years to come. The Woman Who Challenged Big Business - and Won! Born in 1857 and raised in oil country, Ida M. Tarbell was one of the first investigative journalists and probably the most influential in her time. Her series of articles on the Standard Oil Trust, a complicated business empire run by John D. Rockefeller, revealed to readers the underhanded, even illegal practices that had led to Rockefeller's success. Come one, come all to this larger-than-life biography of P. T. Barnum, showman and founder of the Barnum & Bailey Circus. Visit Barnum's American Museum, established in only four weeks! Meet Madame Josephine Clofulia, the Swiss Bearded Lady. Get to know Tom Thumb, a miniature man (only twenty-five inches tall), and his tiny bride (32 inches). Watch as the circus parade goes by, elephants tail to trunk, costumed performers waving, lions yawning. Then, under the big top, as Barnum steps into the spotlight, cast your eyes on the center ring and prepare to be amazed. The Awakening of HK Derryberry is the inspiring story of how one man was willing to step out of his upper-middle-class world into the life of a young, disabled boy with a dismal future. Little did Jim Bradford know the transformational potential of that friendship - for HK and himself. HK Derryberry came into the world with the odds stacked heavily against him. He was taken from his unmarried mother's womb three months prematurely when she was killed in a car wreck. After 96 days of seesawing between life and death, HK's grandmother took him home. One Saturday morning Jim Bradford, a successful businessman in his mid-fifties, happens into Mrs. Winner's Chicken and Biscuits and sees a nine-year-old's head pressed down against a black plastic boom box with a crooked antenna and three strips of silver duct tape stretched across the battery cover. He can't help but notice the long, white plastic braces on each of the child's legs. Mr. Bradford learns that HK's grandmother is forced to bring him to the fast-food restaurant where she works, leaving him to sit alone all day at a small table, with only his boom box for company. On subsequent Saturdays Jim feels drawn back to the restaurant to meet with HK and begins spending every weekend with him. Eventually it becomes apparent that buried beneath HK's severe disabilities is one spectacular ability. He is diagnosed with Highly Superior Autobiographical Memory (HSAM), which involves superlative powers of recollection that enable him to remember everything that has happened to him since the age of three. Less than 100 people have been diagnosed with HSAM, but none of them have the physical disabilities of HK Derryberry. What would have made The Awakening of H.K. Derryberry better? This is the most disappointing book I’ve read in a long time. The title infers that it is about the Awakening of a boy named H.K. 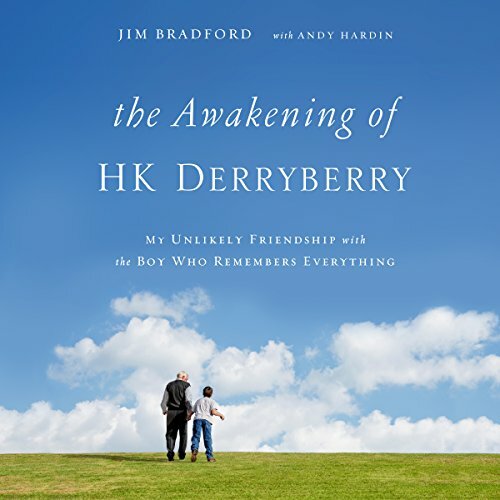 Derryberry when it should actually be titled, “The amazing accomplishments of Jim Bradford” because the book contained more bragging by the author than it does a young man’s awakening. 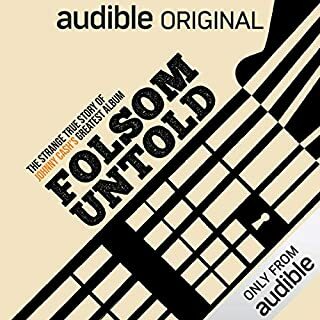 Would you ever listen to anything by Jim Bradford and Andy Hardin again? What three words best describe Milton Bagby’s voice? What character would you cut from The Awakening of H.K. Derryberry? Jim Bradford. He spends his time boasting about what he and his wife have done for this “poor disable child”. (The Narrator mentions over and over again how H.K. is a disabled, he also makes sure to mention his tennis meetings, covered boat dock, exclusive neighborhood, etc). He goes on to mention how surprised and shocked the world should be that H.K. can do things. He reinforces stereotypes by mentioning how a blind person can never enjoy sports unless they have someone like Jim Bradford to explain it. I’m guessing the author has never heard of Helen Keller or Craig MacFarlane. It seems like the author missed the lesson in humility God might have been trying to teach him because Jim Bradford was too busy being the boy’s savior. You can skip the chapter called “The Flood” because 85% of the chapter is about the author and how his affluent house was damaged. 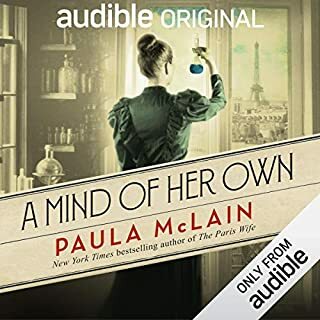 The book had more “I” and “me” pronouns in it than “he” or “him.” An example of my frustration with this story came in Chapter 33 when the author was forced to use the pronoun “he” more than “I” because he had to quote medical professionals, but he managed to make some part of the chapter about himself when H.K. embarrassed him with his talent to remember things. Skip this book if you are looking to be inspired by H.K. Read it if you want to celebrate what Jim Bradford has done. This is what happens when someone chooses to get involved in someone else's life rather than just continue on with the ease of retirement and comfortable living well-earned. The author notices a young boy hanging out in a diner for many hours on end and takes an interest. The boy is blind and one leg is shorter than the other. Spending so much time alone has stunted his social skills also, so people shy away from him. His caretaker grandmother lives hand to mouth, and has no resources to give him more. The crux is not about solving problems with money (although that always helps), but rather getting to know people and really caring. Many lives were changed for the better as a result of this man's odd curiosity about a little, strange boy. Retirement didn't end up as he had planned, but he wouldn't trade it for the world. The story is heartening and touching, but is written a tad amateurishly, hence the loss of one star. The narration is wonderful, the narrator perfectly delivering the man's age and temperament. This is a delightful story to warm the cockles of your heart. What made the experience of listening to The Awakening of H.K. Derryberry the most enjoyable? The way that 'Mr.Bradford' took no credit for who H.K. turned out to be. He just walked beside him and guided him to new discoveries about himself, and lead him through example. What was one of the most memorable moments of The Awakening of H.K. Derryberry? When Grammy Pearl lost her house. That stabbed me right in my heart. I could feel how worn down and overwhelmed she was at that point in her life. Both times that H.K. cried. What courageous moments that first time was considering the reason he cried. He dared to be vulnerable. The second time was, I'm sure, the result of uncertainty and fear of something very unfamiliar for Pearl. God bless H.K. 's acceptance of what is. Of what happened. I loved this story of this unlikely kinship because it spoke of grace without being too churchy. I searched online and found all of the speaking I could find. How uplifting! And how giving Jim's wife was! She likely thought he was nuts to get so attached to quickly to H.K....until she got bitten, and smitten. I would have too. This was a good book about a boy and man who change each others life. the narrator was good the story did lose some of appeal because it became too sappy. Made me feel like I was reading those chicken soup books. the best part was I Google's HK found video, soo cool. Don't do this til after book. you'll spoil the book. Wonderful, beautiful, true story reminding us all of what's really important. Thank you HK for helping us to SEE. Thank you Pearl for sharing him with Jim. And thank you Jim for sharing him with the rest of us. No telling how many more hearts the "little pick-pocket" will steal with his story! loved every word and moment of it. This is the type of story we all need to hear. 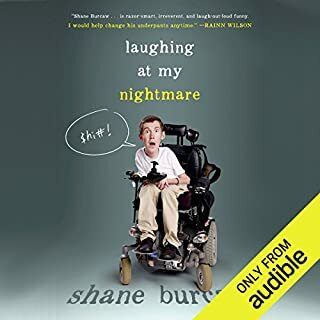 A story of how one man saw potential in a blind boy with multi disabilities that would change both of their lives forever. You helped me understand how blessed I am. Thanks HK! I look forward to introducing my family to you sometime at church. but the story wasn't all that interesting. I , of course, found H.K. charming and inspiring, but making a whole book stretched out of this was not something I'd recommend. A short magazine article could have summed up the fine points and left it at that. Too much boring fluff. Got some bad feeling for HK’s family. Hope Jim is still focusing on HK, not the attention. 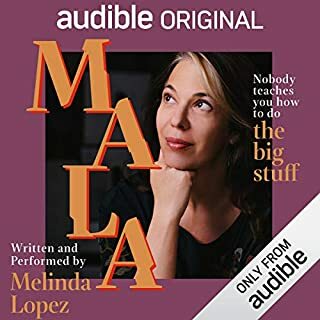 I bought this as one of the daily deals from audible.com. What a surprise! It certainly would’ve been worth the full credit. A heartwarming story of two unlikely friends. Well worth your time to listen to their adventures.